Marian Hawke -- refugee of Lothering, Champion of Kirkwall -- is a liar, a thief, and a murderer, a political sellsword for the powerbrokers of the Free Marches. Most Kirkwallers assume she is a lesbian after a brief affair with Isabella, a Rivaini pirate, but they do not know that she tried (and failed) to seduce a Tevinter slave elf named Fenris. 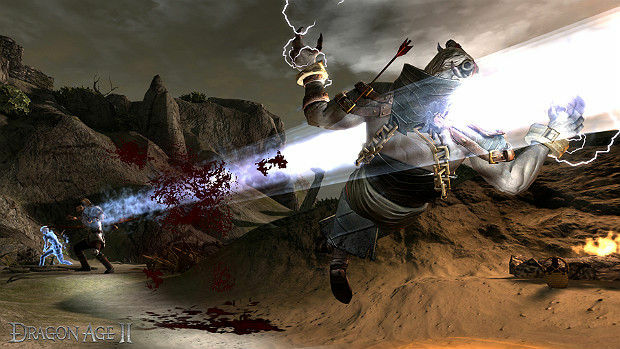 As a rogue, Hawke's particularly gruesome specialty is stabbing enemies in the back so hard they explode. While Marian Hawke's body count is staggering, she is decidedly non-violent when circumstances allow it, which is unfortunately rare. And despite her sordid (and rightfully deserved) reputation, she has something of moral code, however flimsy -- she doesn't tolerate slavery and is sympathetic to mages. She is also a compulsive hoarder, stashing away rare and valuable weapons and armor like a bloodthirsty magpie. In normal circumstances, she would lend this equipment to her colorful friends -- a dwarven businessman, the captain of the City Guard, several apostate mages and maleficar -- but they choose not to accept her generosity. This is Marian Hawke, the sultry protagonist of my playthrough of BioWare's Dragon Age II. 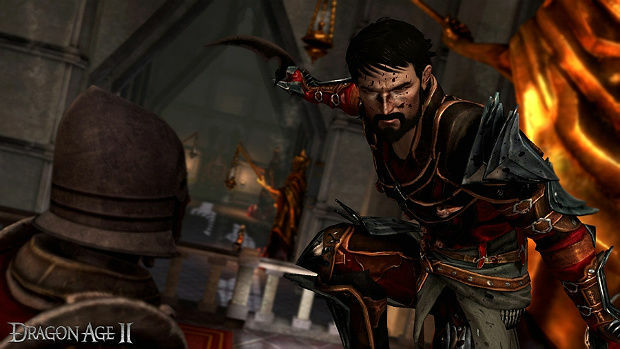 Hawke-as-political-assassin is a fun role to play, undoubtedly, but Dragon Age II's scope is narrow -- without a Blight from which Thedas needs saving, Hawke needs an excuse to kill people and professional ne'er-do-well is as good a choice as any. Given its frame narrative -- you play the story as told by Varric, a dwarven merchant being interrogated by a Chantry seeker -- DAII seems obsessed with player choice even while it stifles it at most major plot points. The dialogue in the game is notably heavy on phrases like, “I don’t really have a choice, do I?” -- a fourth-wall-breaking question for any game protagonist. There’s the temptation to interpret Hawke’s trials as one version of events that no one in Thedas seems clear on, to imagine that there is an externally “true” version of Hawke that may or may have done the things I did, but Dragon Age II never feels cheap or disingenuous. Abrupt and unfocused are better adjectives, but I never felt like I’d been lied to or manipulated. And despite the frame narrative and the premise -- Hawke’s mysterious rise to power -- she is rarely the agent of change in Kirkwall. She is simply in the right place at the right time and knows how to stab people until they explode, a useful skill in a town beset by religious fanaticism, terrorism, minority oppression, poverty, racism, and xenophobia. Lead writer David Gaider treats his subjects with the respect they deserve, giving Hawke the freedom to be as hard-nosed or relativistic as she needs, a useful outlet for my own helpless liberalism. While Gaider tips his hand in a few situations, Hawke is generally free to make her own choices, most often in response to -- as opposed to as the agent of -- change in her city. But because she doesn’t drive the narrative forward, the player is left to fill in her motivations. In Origins, finding a reason to act was easy -- because if you didn’t, everyone would die -- but DAII demands a more actively engaged role-player, and the payoff is generous indeed. Hawke’s companions have their own lives and motivations and generally act independently of our hero. Each companion is relatively well-drawn, and Hawke is often left with the unenviable task of picking up the pieces and protecting her friends from their foibles and pitfalls. The companion quests are by far the most engaging of the game, in terms of both quest structure and their contribution to that character’s growth or the overall narrative. Merrill’s is particularly harrowing, the result of which is an act that, more than any other in Dragon Age II, will define my experience with it; Aveline’s, on the other hand, is heart-warming in equal measure. It is unfortunate, then, that the game doesn’t allow for more interaction. The extensive back-and-forth conversations that so richly complimented Origins are only available during specific quests, the party’s camp having been replaced by individual houses and apartments scattered throughout Kirkwall. Fewer opportunities for interaction means that relationships are less subtle, less nuanced -- companions are drawn to overblown extremes in order to push their sub-plot forward. And that’s too bad: Hawke’s companions are weak, frail people with obvious moral blind spots and their own ways of coping with their lives in Kirkwall, and they are a joy to talk to. That I often sought out chances to excoriate Anders or protect Merrill are credit to David Gaider’s characterization and the role-playing he encourages; that I wasn’t allowed to do so is a black spot on Dragon Age II. The series excels in the small moments of its games, and DAII is no different, but it’s a genuine disappointment -- stemming from moments of great joy -- that there aren’t more of them. Collateral damage includes the game’s romancing mechanics -- whether by design or the system’s own opacity, I accidentally broke up with Isabella and was locked out of pursuing other relationships or the option of trying to re-seduce her. Marian Hawke is apparently a prude. 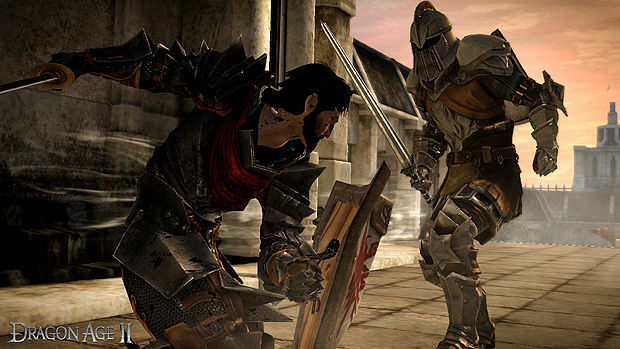 A corollary to the game’s basic interaction system is the friendship-rivalry dichotomy, the mechanic by which different characters respond to Hawke’s decisions. No one ever says that Hawke’s decision to, say, help a mage is immoral, but such an act would enrage Fenris and make Anders happy. Companions accumulate points on a sliding scale, unlocking dialogue options, quests, and abilities along the way. The system works well, generally, but rival is a misnomer -- even if you disagree with a companion, high rivalry scores open abilities and inspire loyalties just as effectively as high friendship scores. There are moments of genuine concern and kinship, even among Hawke’s so-called rivals. I was afraid that I’d never be able to do anything to push my companions away, that any animosity would just be funneled into rivalry points, but I’m glad to report that, with a little experimentation, I managed to get Anders, Isabella, and Fenris to abandon Hawke. Walking through Kirkwall and its environs -- the central area of Dragon Age II both geographically and narratively -- is a mixed affair. The environments are relatively bland and narrow to begin with, and BioWare’s decision to re-use assets for ostensibly different locations only reinforces the issue. I don’t mind spending the whole game in Kirkwall -- it gives Dragon Age II a familiar, intimate feel diametrically opposed to the “epic” quality of most role-playing games -- but the town is unfortunately static. 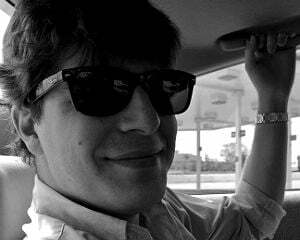 There are few people to talk to, and fewer of them give you quests or valuable information. Not only did things get a little stale after sixty hours, but it undermines the potential of the frame narrative: the three-year time jumps that pepper the story ring false when Kirkwall never changes. On the other hand, simply hanging out in Kirkwall is the best way to learn about your companions -- the conversations they have in town are well-written and interesting, respond to recent plot developments, and never repeat themselves. I was also cat-called by some roustabouts at the dock, once. Dragon Age II’s ensemble cast -- complemented by evocative character designs that blow Origins' out of the water -- does much to mitigate its narrative problems, but there’s no denying that the game has serious structural and pacing issues: Act I is too long, Act III is too short, and Act II feels like the climax of the game but is largely tangential to the main plot. Nevertheless, the game is remarkably good at hiding its disparate narrative threads in the nooks and crannies of Kirkwall -- you never know which sidequests will provide relevant plot information or story beats, or tie together two other loose ends. Dragon Age II tends to drag in the beginning and speed up later, but the way Hawke weeds out information and learns about Kirkwall and its culture feels organic. And while the game clearly sets itself up for a third installment, it answers enough questions about Hawke’s life and its consequences to be satisfying, despite it's abrupt conclusion. And what a life it is! And what bloody, bloody consequences it bears -- Hawke and her friends rack up quite the body count in a decade of assassinations, two wars, and dozens of attempts on her own life. Despite Hawke’s efforts to be non-violent, there’s a certain allure of the combat -- its pace, its visual rewards, the way it empowers players the way Origins never could. Which is to say: pumping up your cunning stat in Origins doesn’t really re-create what it’s like to unleash a perfectly tuned party onto a group of ill-fated thugs in its sequel. The statistical gears and cogs that move the combat in Origins haven’t changed very much per se, but the animations have been overhauled to such an extent that DAII feels noticeably faster and more hectic. Each movement or attack feels more responsive, and each class' "closing attacks" -- designed to move in close to an enemy -- eliminate the trodding, shuffling combat of Origins. The result is that -- given that Kirkwall seems largely indifferent to her -- players only really get a sense of Hawke's power because it's constantly reinforced through combat. 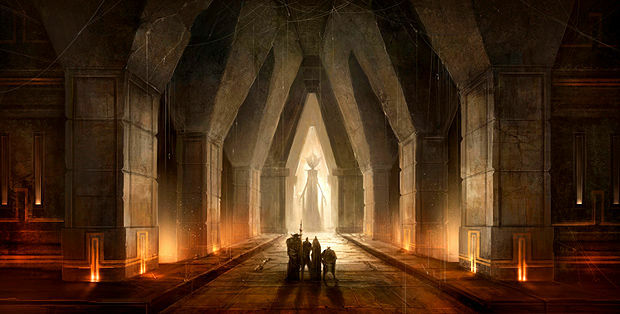 By and large, though, I played Dragon Age II the same way I did Origins: by pausing frequently to issue orders to my mages while my rogues and tanks followed a set of painstakingly algebraic tactics -- if-then statements designed to maim and dismember. The tactics system is more robust this time, with more sophisticated parameters and more slots to work with. The branching skill trees open up more interesting abilities earlier in the game, as opposed to the more restricted skill lines of Origins -- no more spending ability points on useless skills just to get down the line. To boot, each class is varied enough to compensate for most builds and play styles -- some abilities, like Rush or Archer's Lance, need to be micro-managed while others, such as Backstab, can be easily automated. Like the story, though, the game’s combat leaves much potential untapped -- rogues no longer have access to traps, and because combat abilities are only available during combat mages can no longer lay down defensive glyphs. Dragon Age II -- especially on the Hard difficulty, which I recommend -- demands smart, tactical play but impedes it at every turn. The camera is given much less freedom than it had in Origins, which makes laying down precise area-of-effect spells and picking strategic targets difficult, and your companions don’t hold positions like they should. For better or worse, Dragon Age II focuses less on positioning than its predecessor, as new enemies spawn mid battle, making it easy to get swarmed. Crowd control -- large spells, threat generation, and debilitating status effects -- are the paths to success in DAII. It’s somewhat of a change from Origins, but even after sixty hours I enjoyed tinkering with my builds and experimenting with my tactical choices. It helps that DAII is exponentially better balanced than its forebears. Archers do more damage, the entropy school of magic is stronger, and ranged classes aren’t so frail anymore. Difficulty spikes are unfortunate hangers-on from Origins, but they’re less prevalent and less drastic. And, finally, DAII does a better job of drip-feeding decent equipment, but most of it is wasted: companion armor cannot be replaced, only upgraded. I'm sure this particular quirk was designed to keep each companion feeling like his own character, but I miss the flexibility. The trade-off -- and I'm not sure it's a fair one -- is that players now have enough disposable income to buy gear that plays to their strengths and mitigates their weaknesses. 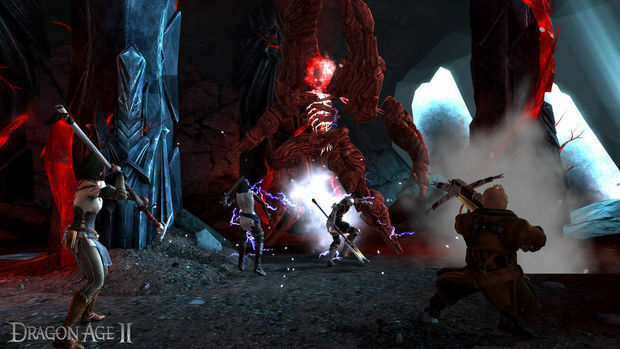 As a general rule, Dragon Age II gets better the more you play it – the story comes together, the combat becomes more intricate, and the quests become more interesting. A few bugs – two glitched minor quests, a bug in Merrill’s dialogue, and couple missing textures – notwithstanding, Dragon Age II is a remarkable game for the way it juxtaposes its flashes of brilliance with some baffling decisions. It’s a deeply flawed game, to be sure, wasting a wellspring of potential for no discernible reason, but one that should be played for being unafraid to show people at their weakest and most vicious. 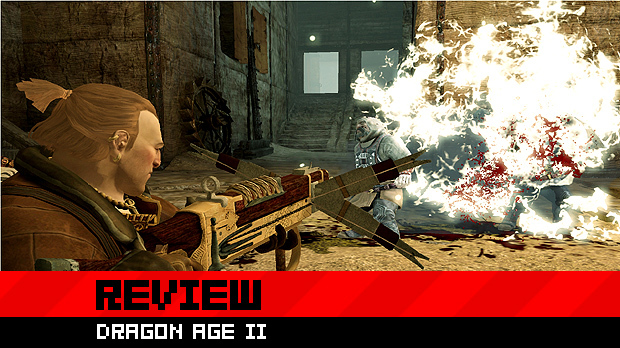 If the metric of a good game is that I keep coming back to it despite its faults, Dragon Age II certainly qualifies.